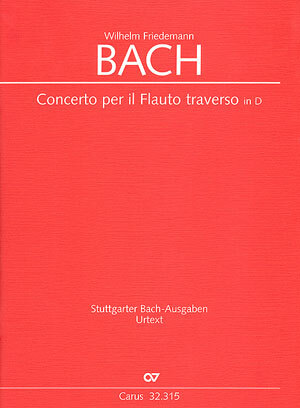 With the first appearance of this three-movement concerto for flute, 2 violins, viola and basso continuo, Wilhelm Friedemann Bach’s only surviving flute concerto is made accessible to a wider musical audience. 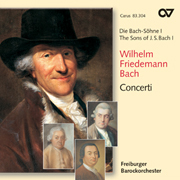 The transparent delicacy of the composition is visible in the orchestral movement. 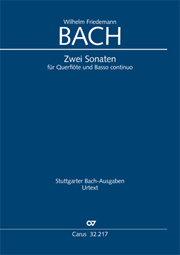 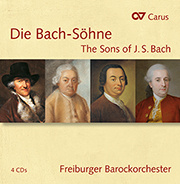 Almost continuously written in 3 parts the concerto clearly bears the individual artistic traits of the eldest of Bach’s sons. 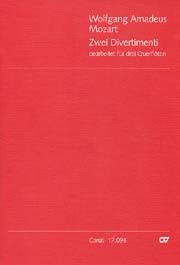 The critical edition is based on the only known source, from the library of the ‘Berliner Singakademie’, will be contained in volume IV/2 of the complete edition of Wilhelm Friedemann Bach’s works.